Just south of downtown Miami lies beautiful Coral Gables or simply “The Gables” as it's known to locals. Here you’ll find an oasis of quiet stately homes and upscale shopping and restaurants in the heart of Miami. The city of Coral Gables stands out as a rare pearl in the Greater Miami area. It is a cohesive community built on a grand scale that blends color, detail and the Mediterranean revival architectural commercial and residential real estate to create a timeless grace and grandeur perfectly in harmony with the environment. Coral Gables is a great place to live, work or explore. Real estate in Coral Gables includes Mediterranean homes for sale on quiet streets with lush live oak trees, beautiful and modern condominiums for sale and for rent in close proximity to Miracle Mile or the University of Miami as well as condos in the Merrick Park mall complex and office space close to Miracle Mile. Coral Gables - Florida's Global City - Is the crown jewel of the world renowned community of Miami-Dade. The city of Coral Gables is known for its preservation of history and lifestyles of old Florida and is often referred to as the Beverly Hills of Miami-Dade, but with cutting edge innovation and the latest technological advances. Coral Gables is near Miami International Airport, Downtown Miami, Coconut Grove, and South Beach. A Coral Gables condo is perfect for many people who do not consider beachfront living most important and desire the lush, tropical landscapes that epitomize Coral Gables real estate. Coral Gables has about 45,000 residents and has strictly enforced its building and zoning codes, which help maintain the city's Mediterranean-style architectural theme. It features many historically designated homes built in the 1920s and 1930s. Single-family homes dominate but the recent development of Coral Gables condos including Gables Club I and Gables Club II are slowing changing the mix. Exclusive gated communities include Cocoplum, Gables by the Sea, Gables Estates, Deering Bay and Old Cutler Bay. Coral Gables, "The City Beautiful" as it is known, is one of the premiere communities in greater Miami, Florida. Young couples and students choose renting or owning a Coral Gables condominium while finishing school, or just starting a new job, or marriage. In addition, Coral Gables condos are just right for the winter visitors needing a condo for a few months and desiring lush, tropical living intermingled with an abundance of culture. Coral Gables, with its blossoming condo real estate, boasts a vibrant business and cultural community set in a tropical, Mediterranean environment. Condos in Coral Gables are full of life with all of the foliage and wild life that South Florida can offer. It is an extremely affluent city and its residents include upper class businesspeople and professionals. Coral Gables was developed by George Merrick in the 1920s. Inspired by Vizcaya, George Merrick wanted to bring the images and architecture of Spain to more of the area. The architecture is almost entirely Mediterranean architecture. Perhaps the greatest monument to the Mediterranean Revival style stands today- the Biltmore Hotel. Inspired by the Cathedral of Seville in Spain, its tower stands today as a recognizable symbol to all Miamians. As a world-class hotel it brings visitors from the world over; natives flock to the Biltmore to enjoy its spa offerings and beautiful coral pool. Located in the heart of Coral Gables, the University of Miami Hurricanes has a national reputation that has reached iconic proportions. When living near the university, condo owners can easily enjoy the culture and excitement that the campus life offers. The University of Miami is a dynamic artistic community that includes the Jerry Herman Ring Theatre, the Bill Cosford Cinema, and Gusman Concert Hall. The nationally recognized Lowe Art Museum offers exhibits, permanent collections, and fine arts classes. Coral Gables equally enjoys the reputation as a globally recognized 'Center of Commerce' as Latin America and regional headquarters to US, European, Latin American and Far East based corporations, with more than 175 multinational corporations, and over 40,000 executives and corporate employees coming to work in the city each day. Coral Gables is widely recognized throughout the world - along with all of Miami-Dade - as the preferred meeting point of the hemisphere and has evolved into the natural Capital of the America's and Gateway to The Caribbean. The city's strategic location, its multicultural and multilingual employee base, coupled with its outstanding community and family oriented environment makes Coral Gables an attractive choice for living and working. Globally based leaders in communications, IT, transportation, banking, international trade, manufacturing, distribution and technology transfer makes Coral Gables an unparalleled choice of opportunities to interact with some of the most experienced and brightest executives of world commerce anywhere. Coral Gables is located just four miles from the Miami International Airport, and is centrally situated in Miami-Dade County to provide ease of access to and from the city. Coral Gables features lush tropical foliage, four golf courses, a waterway to Biscayne Bay for boaters and multiple parks. This quiet residential area has a bustling downtown business sector, fine residential neighborhoods, historic landmarks, and a tremendous quality of life. In the 1950s, Miracle Mile sprang up, a brick-paved section of road on Coral Way between LeJeune Road and Douglas Road. With its upscale boutiques and specialty stores it brought heightened commerce to the area and inspired more of the same kinds of shops to open their doors soon after. Recently built, the Village of Merrick Park has become a major shopping center between LeJuene Road and Ponce de Leon Blvd. with anchor stores including Neiman Marcus and Nordstrom. Miracle Mile is where many new condominiums have been built recently to take advantage of the unique shops and restaurants there. The five block long "Mile" and its neighboring avenues comprise one of the finest restaurant areas in all of South Florida. Steve Samuels is known as one of the premier Coral Gables Real Estate & Goral Gables Condo Brokers in the South Florida market. His negotiation skills, market knowledge and no-nonsense, results-driven approach has made him one of the most sought after luxury condominium, Oceanfront, Beachfront Condos, Oceanfront Villas, and single family waterfront realtors from Hallandale, Sunny Isles Beach, Miami, to Palm Beach County. View MLS Listings for Coral Gables, Hallandale, Downtown Miami, South Beach, Sunny Isles, Miami Beach Condos for Sale in South Florida and Miami Beach. 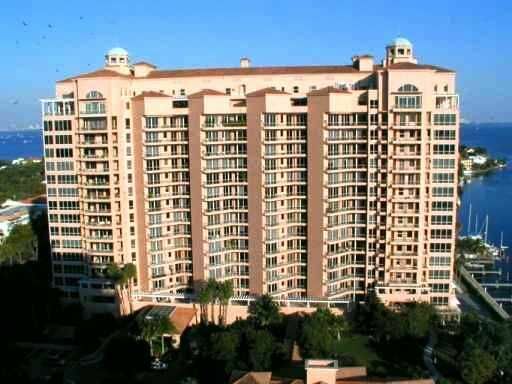 CondosandCondos.com is one of the Leading Sunny Isles Baech Real Estate websites where you can find Waterfront, Bayfront, Beachfront Condo Sales, Oceanfront Condos Sales & Rent . Search for Oceanfront Condos Luxury Condos in Miami, Miami Beach, South Beach, Sunny Isles, Hallandale, Key Biscayne, Bal Harbour, Fisher Island, Coral Gables, Ocean Drive and all of South Florida.